Recently I visited Israel for the first time in 25 years. Back in 1988, I spent five months in the Holy Land staying with family and friends, and also living on a kibbutz. At the time, I was a brash and uncompromising proponent of the two-state solution, a viewpoint which was considered extreme if not completely beyond the pale in the then very conservative Australian Jewish community. In contrast, the two state perspective was considered quite mainstream within Israeli society. It was not surprising that only five years later Israel and the Palestine Liberation Organisation signed the Oslo Peace Accord which was expected to produce both an independent Palestinian State alongside Israel, and genuine Israeli-Palestinian peace and reconciliation. Sadly it produced neither. The Israeli and international Jewish debate has changed significantly since that time. Most mainstream Israelis claim to support two states in principle. So do most Australian and other Diaspora Jewish leaders. But we still seem no closer to actually implementing a two-state solution that reconciles Israel's desire for peace and security, and the Palestinian demand for national independence. Personally, I have become far more pessimistic about the prospects for a two-state outcome, and increasingly critical of Palestinian as well as Israeli barriers to conflict resolution. Compared to 1988 my trip to Israel this time was short and rushed. I spent two days in and around Tel Aviv visiting close family and friends, then participated in a three day workshop at the Hebrew University in Jerusalem. Nevertheless, any visit to Israel is a valuable reminder of the enormous diversity of the population. It includes dark-skinned Ethiopian Jews, Jews from Arab countries and North Africa known as Sephardim or Mizrahim, Jews from the former Soviet Union, Jews from Anglo-Saxon countries such as my relatives, and the older group of Ashkenazi immigrants from early-mid 20th century Europe. There is also an enormous difference between the mostly secular Jews of Tel Aviv, and the ultra-orthodox Jews that reside in Jerusalem and some other cities. The Arab community also includes a variety of groups including Druze, Bedouins, Muslims and Christians. These type of views need to be heard and discussed outside Israel including particularly by those BDS advocates who claim to be supporters of the Palestinians. Other Israelis were more sceptical of the prospects for change. One Australian-born friend, who is relatively free of ideological preconceptions, suggested that most Israelis are willing to consider two states in principle, but noted that we have been speaking about the same political issues for 20 years, with no concrete outcome. This contradiction between philosophy and action seems to be reflected in the Israeli election results. Only a small minority of Israelis voted either for parties that unequivocally rejected two states (e.g. The Jewish Home Party gained 12/120 seats), or parties that unconditionally support a Palestinian State (the left Zionist Meretz Party gained six seats, and the three Arab Parties gained 11 seats totalling 17/120). The vast majority of seats (91/120) went to parties which are either unsympathetic to two states but don't discount the possibility, or which support two states in principle but provide little practical guide to achieving this outcome. In short, the election produced a deadlocked outcome. Personally, I believe some form of long-term international intervention or trusteeship in the West Bank will be necessary to overcome this deadlock. The Israelis need to be convinced that a withdrawal from the West Bank will not simply lead to a repeat of the Gaza debacle whereby Hamas seize control of any territory ceded to launch attacks on Israeli civilians. And the Palestinians need to be reassured that both Israeli soldiers and settlers will actually vacate sufficient territory to facilitate a genuine act of national self-determination. Associate Professor Philip Mendes is the Director of the Social Inclusion and Social Policy Research Policy Unit in the Department of Social Work at Monash University. The conflict between Israel and Palestine is a seemingly intractable one with many peace talks breaking down. I believe any hope of building trust between the two 'sides' will rest on an independent long-term international intervention, as Philip suggests. After a conflict of this length and intensity it will not be an easy task but the continuing loss of life for both sides should propel them to think seriously about this option. Unfortunately,to a mere amateurish outsider like myself, I see on the Palestine side post Oslo rampant internecine fighting between myriad factions with anti Israeli agendas; add to that is the escalation of anti Israel forces in other Islamic nations whipped up by Al Quaeda. Beyond the open complex carnage are the never ending clinical lethal assassinations at the level of Israeli Mossad-- and Palestinian opposite numbers--[for Mossad read: [Thomas, Gordon (2010-04-01). Gideon's Spies: The Secret History of the Mossad . St. Martin's Griffin. Kindle Edition.] As for an international solution,unfortunately big Nations have many economic prongs and other self serving interests in the middle East A tragic ongoing debacle full of complexities within complexities. Dr. Mendes quotes his Australian born Israeli friend as saying , " we have been speaking about the same political issues for 20 years, with no concrete outcome." I like the division of the pizza analogy myself , wherein the quote above may more accurately be stated as : " We have had two sides discussing the division of a pizza for 46 years & all the while one side has been greedily scoffing as much pizza as they can." Certainly, some form of long-term international intervention or trusteeship in Occupied Palestine will be necessary to finally allow the brutally occupied peoples some hope for a decent future in their homeland. The cessation of the 3.8 billion dollars per annum of US military aid to Israel would be a positive step in a healthy direction. And just for the record, Hamas did not "seize control " in the blockaded Gaza strip. They were democratically elected in a free & fair election. Well said, David Hicks. The Palestinians have been languishing under the Israeli jackboot for more than sixty years. Generations have grown up as refugees in their own country, an appalling situation.The US government has to contend with a powerful Jewish lobby, but it is hard to see why our own government feels obliged to follow. Having seen some UN interventions I would not wish one on the Israelis and Palestinians. Israel is a complex and pluralistic society: one of the few in the current Middle East to genuinely allow pluralism. Israeli Arabs comprise about 20% of the population, and, if they all voted, could have up to 23 seats in the Knesset ("Need to vote splits Israeli Arabs" Weekend Australian 19-20 January 2013). The success of Yair Lapid's centrist Yesh Atid ("There is a Future") Party and its platform and participation in the government may give the peace process a kick start. It always strikes me as interesting that Sabras (native born Israelis), who very often have families who perished in the Holocaust and who served in the IDF with some distinction, are often the greatest proponents of peace. The Ultra Orthodox (who often escape military service) and the latest American and Russian immigrants seem to be the greatest opponents of peace. Sadly, the Palestinian leadership, split between the ineffectual Fatah on the West Bank and the volatile and dangerous Hamas in Gaza, seems unable to unite and work effectively. Certain preconditions for peace are essential. The settlements must stop immediately. Hamas need to genuinely want peace. I find the current situation deplorable. 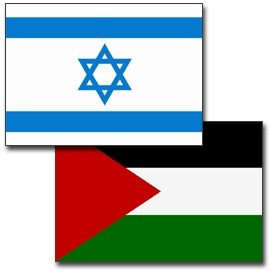 There needs to be a viable two state solution. I think both Israelis and Palestinians need to rise to the occasion. Until the International community stops supporting the occupation and supports the rearming of the occupied territories then Israel will never negotiate for permanent peace .You cannot mount a realistic reprisal with rocks against one of the most modern and well supported military nations. The land is called Palestine. It is a pre- existing state, one state in fact, and this is what we need it to return to, now. Palestine has been stolen from its owners, like Australia was by our forfathers. Clearly we are not going to go away, and neither are the Israeli Jews, so they have to get on with the Arabs who own the place. Pretending that gods gave Jews this land is totally ubelievable, not to mention thoroughly self-serving for the landgrabbers. That any other nation is prepared to believe this nonsense is amazing. I don't see why we tolerate Israel continually stealing more land and bullying not only the Palestinians there but also threatening the rest of the world with their religious fantasies. The charged expression in Philip Mendes' article comes at the end: "vacate sufficient territory". Who believe themselves to be the deciders of sufficiency? Whose territory is it? I seem to recall something from the dim past, called UN Resolution 242. Excellent article Philip. I belive that the Isreali government and people need to be told that they have two options: a seperate Palestinian state involving a substantial withdrwal from the West Bank and East Jerusalem , or an unitary state incorporating all the Palestinian lands,without "ethnic cleansing", and then with one person-one-vote as a proper democracy. Short of either, there would be immense loss of international support and sanctions. The Palestinians have frequently been their own worst enemies and have been terribly led, but the Jews act as if there is transference going on of their hatred for the Nazis of old onto the Arabs; bizarely, they now demonstate some features of fascism themselves: demonisation of "the other", intense nationalism and a superiority complex based on what they claim is race (not religion). I have very good Jewish friends whose secular young adult children talk just like that. Great summary and comment Edward F.
Writers above wonder , " it is hard to see why our own government feels obliged to follow [ the Zionist's agenda ] , " or, " I don't see why we tolerate Israel continually stealing more land and bullying not only the Palestinians there but also threatening the rest of the world with their religious fantasies ." This book will answer why Australia so slavishly supports Zionist's project in Occupied Palestine : Melbourne University Press has just released a new book by Dr Halim Rane and Dr Eulalia Han, Making Australian Foreign Policy on Israel-Palestine. The endorsement by Antony Lowenstein reads : " It’s vital to understand why Australia is one of the most blindly pro-Israel nations in the world and who convinces politicians and policy makers to support Zionist aggression and occupation. This important book goes a long way to answer these questions and explains how out of touch Canberra is with the vast bulk of global public opinion. Read this vital text to understand why Australia is on the wrong side of history. " I think one of the dangers discussing Israel/Palestine, or Israel and Palestine, as I hope two mutually peaceful states may one day exist side by side, is that there is so much historic bitterness involved. As a British officer said,(interesting that, as I think the way the Brits hastily got out in 1948 caused quite a few problems), is that it is not a simple doctrinaire matter of right and wrong, but right and right. Many (most?) Israelis were born there whilst many Palestinians have strong links with areas they can no longer live in. How do you reconcile the two? The extremists on both sides have an extremely simple answer. I regard both extremist groups as insane. Emotive blaming of "the Jews" or "the Arabs", with all that deliberately skewed language connotes, makes the situation worse. Enough people have suffered enough for long enough. What happens to minorities like the Palestinian Christians as things become even more polarised? Can Morsi-led Egypt play a positive role? I have reservations there. Will the fate of Syria's Ba'arth regime (looking somewhat precarious) effect things? What about Iran's Hezbollah ally? The Ultra Orthodox and extreme nationalist Israelis; the loony Christian Right in the USA and all those everywhere flying the Salafi-Wahhabi jihadist banner are not helping. The situation is very similar to what it was/is in Northern Ireland. It needs a sane circuit breaker. Philip is thinking outside the box. The situation needs more like him on both sides. The irony is that it's difficult to voice his views for a Palestinian. I understand the power differential but I think both sides need to talk and disengage from hostilities. Perhaps Philip is right. Perhaps the UN can play a positive role as it did in East Timor. It's going to take a long time. Perhaps not in this generation. A few years ago Johan Galtung proposed a Swiss- canton style solution with post 1967 Jewish settlements recognised as cantons with status and democratic rights within a single Greater Israel.Does anyone think that line of thought is worth pursuing? And While you're at it FATHER GEORGE, while not just proclaim the Roman Catholic Church as the New Israel, merge together all three monotheistic religions, put the United Nations in charge and proclaim world peace? Aurelius, forget histrionics! do study Lateran Treaty it is antithesis of your implied Soviet satellite model[with israeli wall renamed 'Berlin wall'] nor did Vatican stand as a "merger" of wider Italian aspirations-such later wider aspirations existed alongside/outside Vatican[eg nationalism/fascism/Communism/srcularism etc-the Lateran treaty remained intact regardless, despite tanks of 3rd Reich rolling down via conciliazione to vatican in 1943 and Hitlers proposed capture of the Pope. Hi. Didn't the West Bank locations provide Israeli's enemies in 1967 with position superiority that only Israel's superior counteroffensive strategy defeated? I strongly believe Israel deserves her West Bank locations as a just reward for defeating her attackers. I suggest you move back to Israel and be part of the Israeli solution from within. Peace and light. Edward F expresses the hope that "the UN can play a positive role as it did in East Timor". Yes, indeed. But it should not be forgotten that the UN, in practice (leaving aside issues of international law and rights), was only able to do that thanks to change in Indonesia. The pre-requisites were (a) that Indonesia, after 25 years as a hawk decided to back off and allow a proper act of self-determination and (b) satisfy itself that an independent East Timor would co-exist constructively and not be a threat to it. Jose Ramos-Horta has visited and made these points directly to the Israelis and Palestinians. As the jews are 100% in the wrong with the land thefts, massacresa can abuse why would the Palestinians care to deal with them. By the way, not only was the Lateran pact intact in 1943,but Nazi tanks backtracked at Vatican border, flanked by Swiss Guards with daunting halberds and frightening blunderbuss,[ but guards with strict orders not to fire] the Swiss Commander insisted on to seeing the 'order' signed by Pope Pius[from the diary of WW2 British Ambassador Osbourne] He noted that hard-nosed Cardinal Tardini, normally not stirred with mere diplomatic gestures and symbols, was utterly flabbergasted by the nazi retreat, as Pius stormed heaven on knees with rosaries in chapel with Mother Pasqualina aka "La Popessa"[Any wonder Moshe Sasson, Israel's ambassador to Italy from 1973-77, described the Lateran Treaty signed by Benito Mussolini and the Vatican as "a historical precedent that is wonderfully suited to the issue of Jerusalem," in an editorial in Friday's edition of the Tel Aviv daily Haaretz. The so-called two state solution has become safe to accept merely because there is no possibility of its happening. Israel, its lobbyists and apologists use the two state idea as a ruse to continue meaningless talks about shelved agreements and so forth while successive Israeli governments continue buildings settlements, outposts, military zones, exclusive roads and the barrier which have already made a two state solution impossible - unless Israel is willing to declare it will dismantle the settlements, move the settlers into Israel and demolish the barrier or conversely transfer the Jewish settlers to Palestinian rule. Abbott's statement that the 2013 election is about trust is correct, but also redundant. Every election is about trust. The problem of who to trust, however, lies at the end of a string of other important questions. For as far as politics goes, there are no spectators; we are all on the same island.